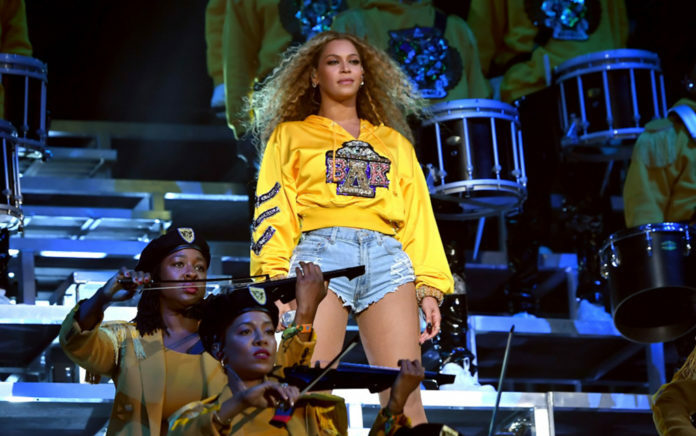 HBCU Students to receive scholarship dollars from Beyonce herself. On the (high) heels of her 2018 Coachella Valley Music and Arts Festival powerhouse performance where she became the first African American woman to headline the festival in its 19-year run, Queen Bey, also known as Beyonce, has partnered with Google.org to award four new scholarships as part of her Homecoming Scholars Award Program. The 22-time Grammy award-winning singer-songwriter launched the Formation Scholars awards, through BeyGOOD, her charitable arm, last year when she awarded four students from Howard University, Parsons School of Design, Berklee College of Music and Spelman College $25,000 each to “young women who are bold, creative, conscious, confident and unafraid to think outside of the box,” she said in a statement. This year, Google.org has matched Beyonce’s $100,000 donation. She has chosen to award students from Grambling State University, Texas Southern University, Fisk University and Morehouse College in keeping with the theme of her Coachella performances, which were an ode to Historically Black Colleges and Universities complete with a display of a Homecoming weekend celebration that included marching bands and clothing reminiscent of the tradition of African American sororities and fraternities. Google.org is the charitable arm of Google, which has demonstrated a commitment to diversity through its partnerships with Code Next, Black Girls Rock! and Black Girls CODE.